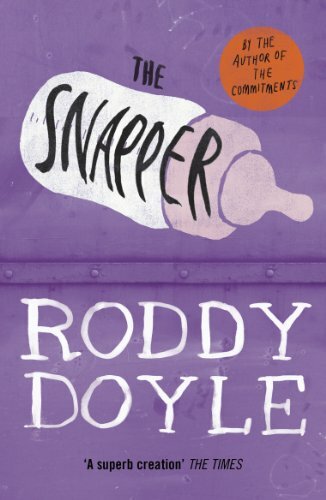 This is how much I liked the film, and the other Roddy Doyle books in general. I am looking forward to this one. And it was lovely! About the Rabbitte family, having to deal with daughter Sharon, pregnant and refusing to reveal the identity of the father. Hilarious and touching, a loving family, proud and straightforward. And that language! -She's her whole life ahead of her, said Bimbo. -Unless she drinks an iffy pint, said Bertie. -Annyway, said Jimmy Sr. (this is Sharon's father). He lifted his glass. Bertie picked up his pint. -To the signorita Rabbeete that is havin' the bambino out of wedlock, fair play to her. He gave Jimmy Sr. another calculator.